The tradition continued this year, with our entire freshman class, along with their senior leaders, spending the day volunteering out in the community. 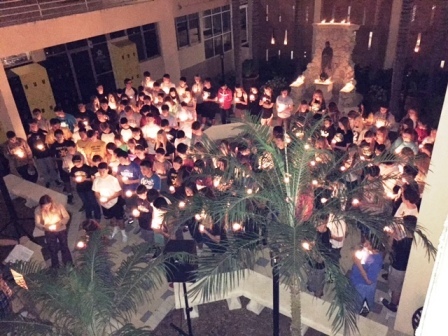 After the day of work, students returned to campus for some mentoring time in small groups, games, and candlelight prayer service. The video shows what this important event means to both the incoming freshman and their senior leaders that put the event together.